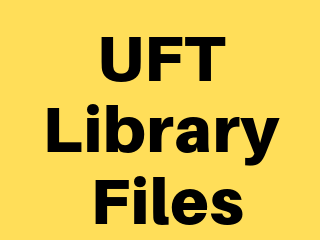 A New Library File can be Created by Navigating to "File" >> "Function Library"
Method#2 : Using ExecuteFile method. Method#3 : Using LoadFunctionLibrary Method. Method#4 : Automation Object Model(AOM) - It is a mechanism using which we can control various QTP operations outside QTP. 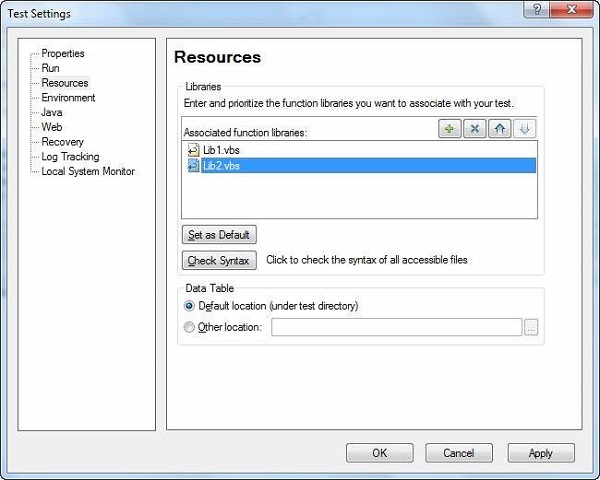 Using AOM, we can launch QTP, Open the Test, Associate Function Libraries etc. The Following Vbscript should be saved with Extension .vbs and upon executing the same, QTP will be launched and test would start executing. AOM will be discussed in detail in the later chapters. 'Associate Function Library if NOT associated already.